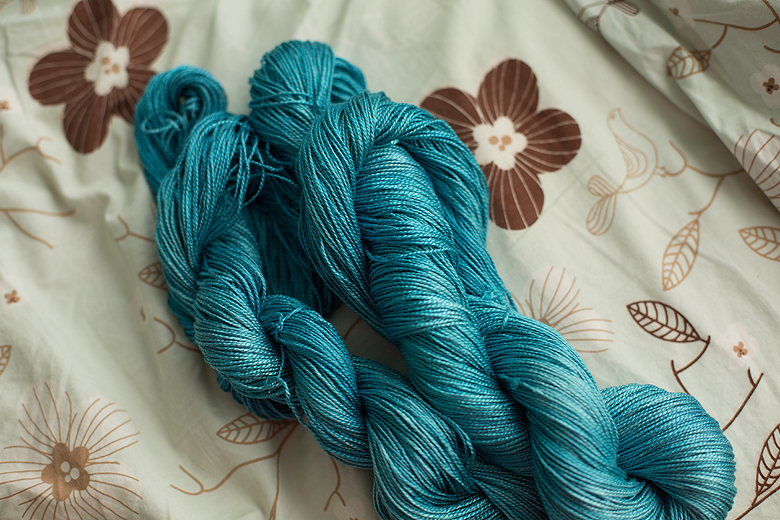 I saw this yarn on Etsy a few weeks ago that I absolutely had to have. 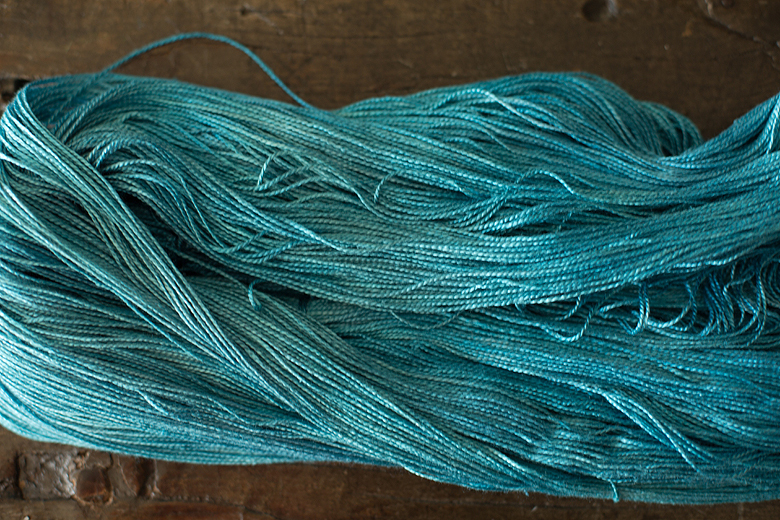 Sure, it looked just like all my other s@!t, but it was coming from Europe and it was pure silk (and therefore it shouldn’t count against my moratorium on turquoise yarn) and I was dreaming of a beaded wedding shawl, so I bought it. And gotten this instead. 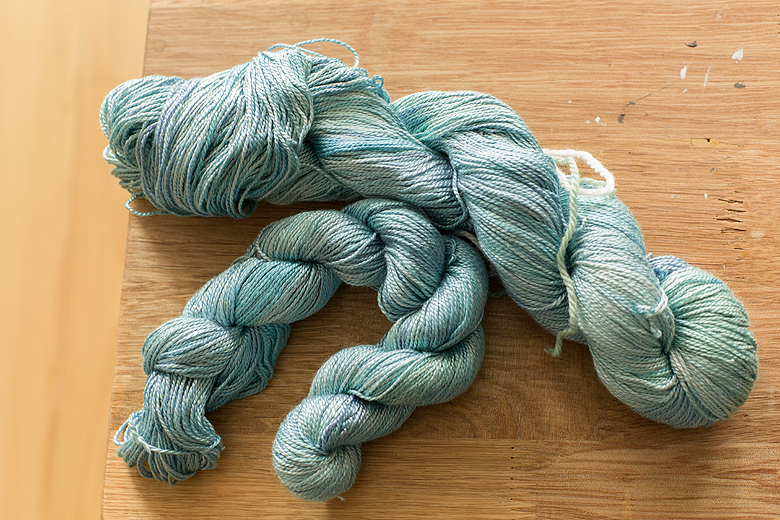 I decided to overdye the skein using Jaquard acid dye for wool and silk. 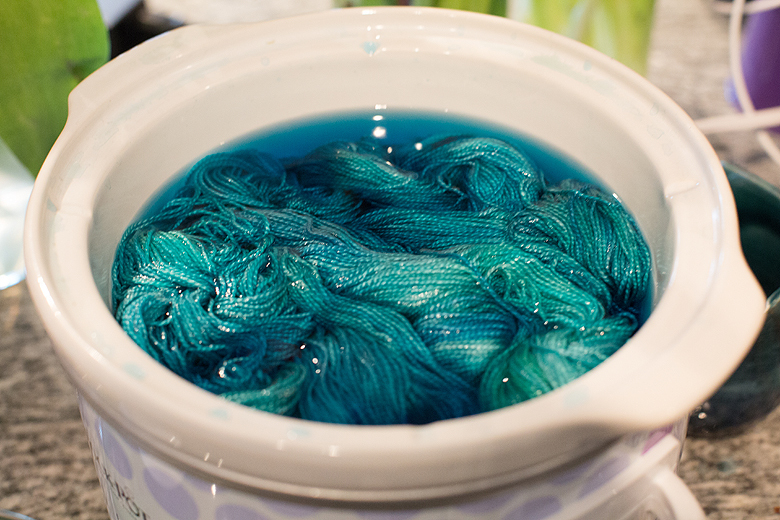 I prepared a dye bath (and managed to omit the vinegar despite having done this a million times before, thank Rayna for catching that) and after a deep breath wherein I thought ‘what if I ruin it?’ in she went. She cooked until the dye bath was totally exhausted. What was my formula? 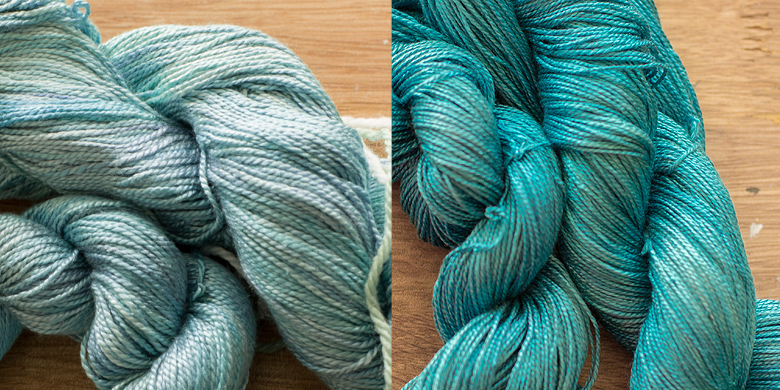 Sorry, a dollop of sapphire blue and a dollop of turquoise… that’s all I got. Huzzah! This was the result after drying. Much more my speed. Now it basically looks like the photo on Etsy. Maybe a titch greener. I think it’s significantly different from all my other s@!t in that it’s much more blue, but all I got for this statement was a look that suggested I needed to get my eyes checked (incidentally, I’ve got absolutely perfect colour vision, according to this test so there). In love at last, time to go find some beads! Problem solved with a little bit of elbow grease, and vinegar. Lovely color.